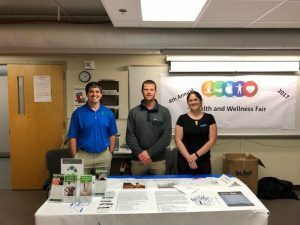 Last week along with Somersworth Physical Therapy we took part in the 4th Annual Health Fair at the Portsmouth Naval Shipyard! We were able to give great information on physical therapy’s benefits to the many individuals in attendance. And did we mention that we love where we work?? 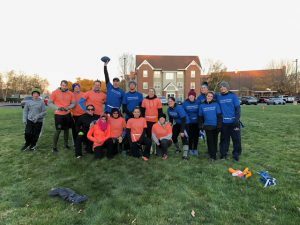 Late last week, Pinnacle Rehab Network hosted the 1st annual flag football game! Team Portsmouth Physical Therapy beat Hampton/Seabrook by a narrow margin in freezing weather! And the cheering section that stuck it out in the cold was awesome. Everyone had a great time, and we look forward to continuing the fun in our 2nd annual game! Stay tuned for more updates from all of us here at Portsmouth Physical Therapy! And remember, we’re your go-to physical therapists on the New Hampshire seacoast!